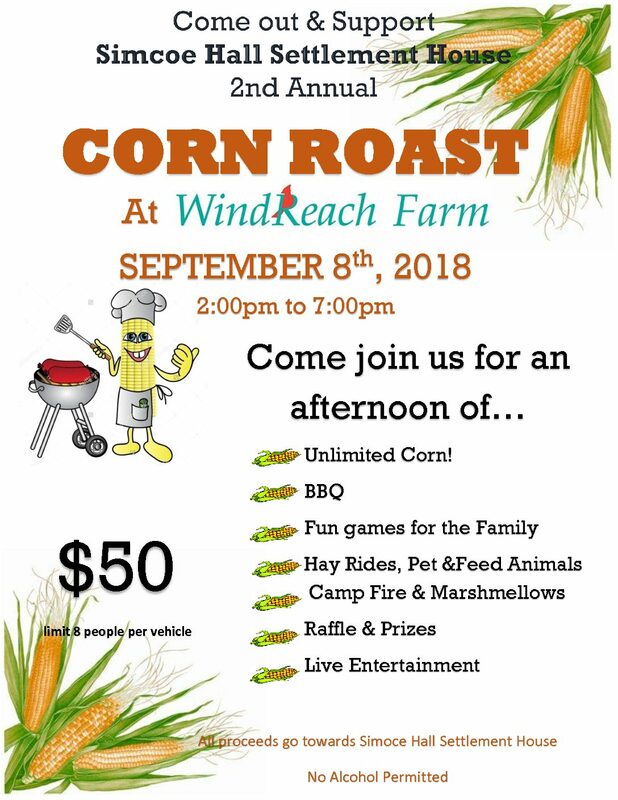 JOIN US For Our Second Annual Corn Roast Fundraiser! Simcoe Hall has been serving the vulnerable since 1935. Our agency strives to provide hope to those in need within the Durham Region community and beyond! On September 8th, 2018 we will be hosting our 2nd Annual Event. A great opportunity to for families to come together and enjoy dinner, fun activities, raffles and more! Your ticket includes admission, all activities and food! **Check out our events section to get more information on this fundraiser and other upcoming events!